...the times during a lesson a child says, "Ooohhh, I get it now!" in the way teachers get so excited about? Even if it's after a fifth or sixth different explanation? ...the smiles on children's faces as they enter our classroom? Or perhaps by the quantity who say, "Thank you" at the end of the day? Surely that's the sign of a great teacher? ...the good choices made by pupils when they've done something wrong? When they own up immediately and apologise with heart? What about those children who choose to do the right thing when previously they would have chosen the other option? ...the unprompted learning which children complete at home? Their page of maths calculations which they did when 'playing schools' or the thousands of questions they answered on an educational game before breakfast? 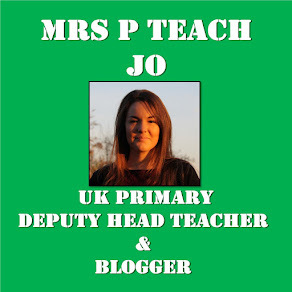 ...the quality of work, views and comments from around the world on the school blogs? Surely they demonstrate wonderful learning and brilliant opportunities? ...the free extra-curricular activities which we diligently run after, before and during school in order to provide a holistic experience for the pupils we value so much? Don't they give opportunities for children to shine and be proud of something they've learned? ...the messages we receive in cards and on little notes? These show that parents and children are happy with the job we are doing...doesn't that count for something? ...the value we put on the non-core subjects that are being desperately squeezed out in favour of 'more important' subjects? Surely keeping children active and involved in the arts is having a positive impact on their learning too? ...the quality of the productions we stage? Or our sporting achievements? What about the quality of the crops which our gardening club produce? Or the skills of our chess players? 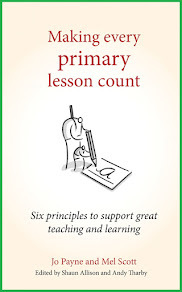 ...instead of by a series of meaningless numbers decided on one day at the end of their time with us for which they lose real learning opportunities while relentlessly practising test skills? Someway along the line these values were lost. Still these are the reasons I love teaching.